…to view my new book cover! 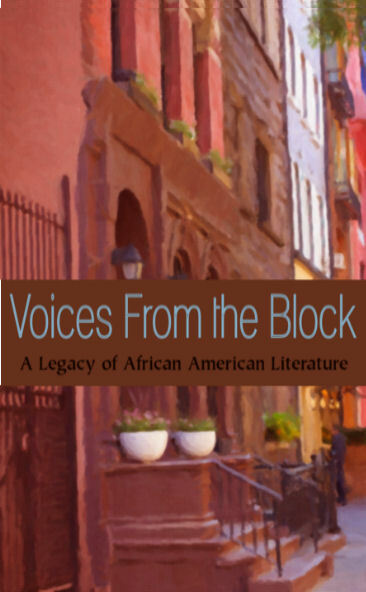 I am blessed to be one of seven African-American women to be featured in “Voices from the Block: A Legacy of African-American Literature.” I have two short stories in this compilation book. One short story is titled “Between 2:00 AM and 4:00 AM,” and it chronicles the life lessons a mother imparts to her daughter. The other is titled “Six,” and it is about a young boy forced to grow up fast during segregation. The book goes on sale March 15, 2014 at Amazon (print and ebook), Barnes & Noble (ebook – Nook), and Kobo (international ebook). Don’t worry! I’ll remind you once the date draws nearer. In the meantime, enjoy the cover.